The EPA’s Clean Power Plan was proposed last year and is expected to be finalized this summer. The plan requires cuts in carbon emissions by 30% of 2005 levels by 2030. There are intermediate standards that must be met starting in 2020. Similar to ObamaCare, the plan calls for state to establish their own measures to meet the standards. But if the state fails to create its own plan, the federal government will set up a plan for them. According to the North American Electric Reliability Corporation the Clean Power Plan could cause significant reliability challenges. The CPP would affect nearly 3,000 power plants that account for approximately 65% of current capacity in the United States. This is because it could result in the closing of a third of all coal-powered plants, a loss of enough energy to power the lives of 57 million Americans. This reduction of energy on the grid could lead to brownouts and would definitely increase the cost of electricity. A study by Balanced Energy for Texas the CPP would increase the average Texas household’s gas and electricity fees by $1,060 a year. The cases brought up two questions for the court. First, whether the plaintiffs have standing to sue since the rules have not yet been finalized by the EPA. Second, and if the court reaches the merits in the case, whether the EPA can regulate existing power plants under §111(d) when they are already regulated under §112. This second question centers around a dispute over two amendments to the Clean Air Act in 1990, one from the House and one from the Senate. Both amendments were adopted into the Statutes at Large but only the House amendment was adopted into the U.S. Code. Petitioners argue that the Senate amendment has no meaning and it was a simple error that it was included in the Statutes at Large. If the House amendment is accepted then the EPA would not be able to regulate existing power plants because they are already regulated in another section of the Clean Air Act. The Clean Power Plan would fall apart. The EPA argues that both the House and Senate versions are valid and this creates an inconsistency. Because of this inconsistency, the EPA argues they should be granted Chevron deference and the Clean Power Plan should be ruled valid. By their line of questioning, two of the three judges appear likely to dismiss the case for lack of standing. Their argument was that since the EPA’s rule has not been finalized, there is no guarantee that the rule will be implemented and any challenge is premature. However, if the court does reach the merits, two of the judges seemed to side with petitioners that the EPA had exceeded its authority under the Clean Air Act in proposing their Clean Power Plan. 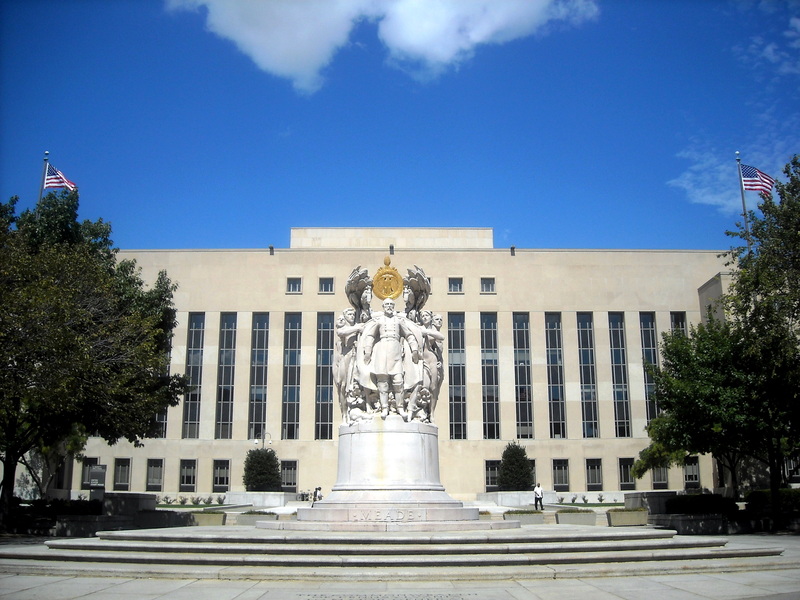 Although the DC Circuit court may rule the petitioners lack standing and not get to the merits of the case, there will be more lawsuits filed as soon as the EPA finalizes their rules this summer. While the EPA is defending its Clean Power Plan in court, Congress has introduced legislation to protect the states from harmful EPA regulations. The Ratepayer Protection Act, authored by Chairman Ed Whitfield (R-KY) and Rep. Morgan Griffith (R-VA), would allow governors to reject the Clean Power Plan if they determine it will adversely affect their ratepayers or theirs state’s electricity reliability. Whether accomplished through the courts or the legislature, the EPA’s Clean Power Plan must be stopped before we see a large rise in electricity prices and a reduction in electricity reliability. Just another tool that Obutthead and his DemonCrap cohorts are using to destroy the Middle Class and the opposing political enemies in their plan to create a soceity of "Goverment dependents that they can control every aspect of our lives" while making themselves rich beyond their wilest dreams. They will decide who lives and who does not to answer to their every whim and desire.